Just got this in from the good people at 9PR. On U Sound are a proper independent record label. I don’t own tons of it but when I see a release by them I pick it up as there is always someting interesting going on. Really looking forward to this. Here’s the press release. Adrian Sherwood is a name most commonly associated with dub reggae, particularly his own leftfield version of the sound that he developed over the 80s and 90s, having been mentored by the likes of Prince Far I, Lee ‘Scratch’ Perry and Dennis Bovell. 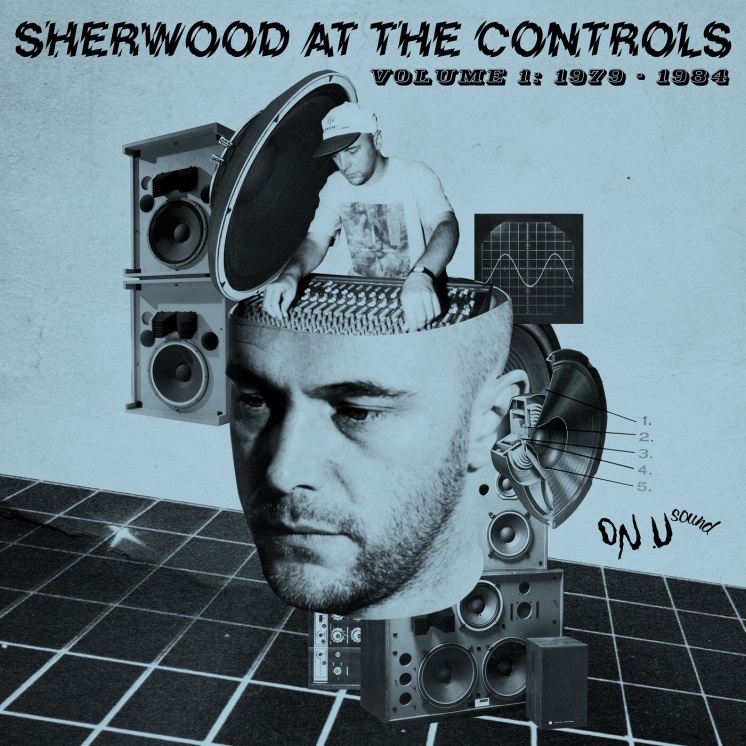 This compilation seeks to highlight another side of the story: in his capacity as a DJ and live sound engineer Sherwood also connected with the likes of The Clash, Public Image Limited and The Pop Group, and went on to work with a wide variety of artists including Depeche Mode, Nine Inch Nails, Primal Scream and Blur. The tracks on this album show how Sherwood blended a dubwise approach to versioning tracks with a desire to experiment in the studio and push musical boundaries. This is the first release in an extensive On-U Sound reissue campaign that will be coming out over the next few years.